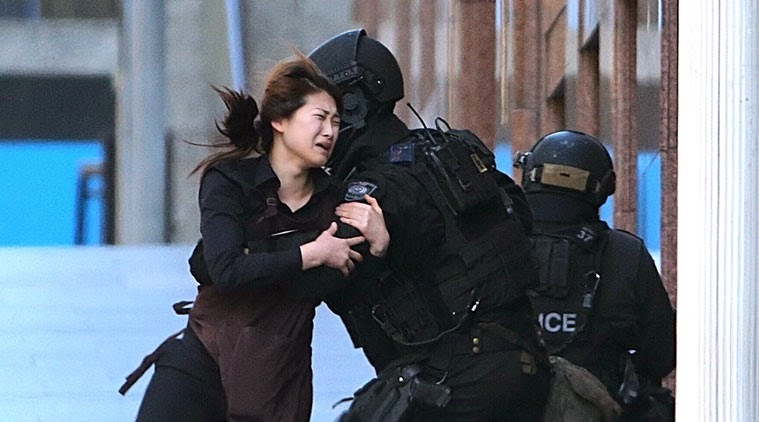 Actress, Celebrity Wedding pictures, Movie, Sports, Technology, Automobiles, Football, Gallery, Preview, Videos, Action, Actor, Pictures, Bollywood, Hollywood, Tamil, Hindi, Review, Posters, Teaser, Trailer, Coogle,Wwe superstars, Wwe Divas, etc,. 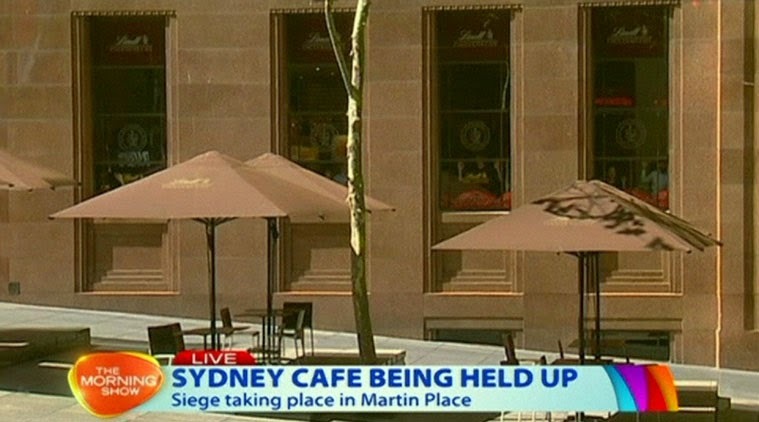 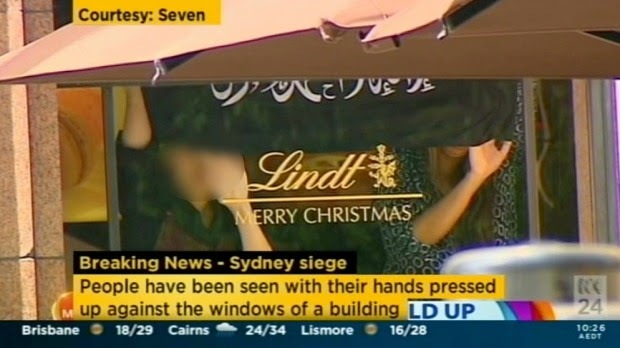 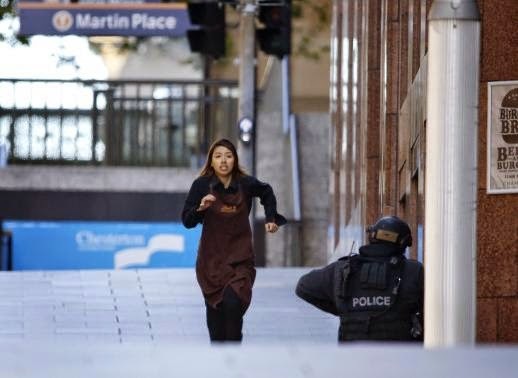 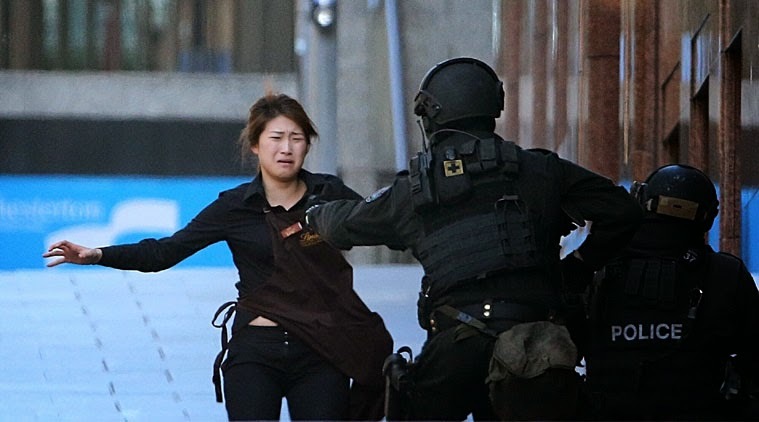 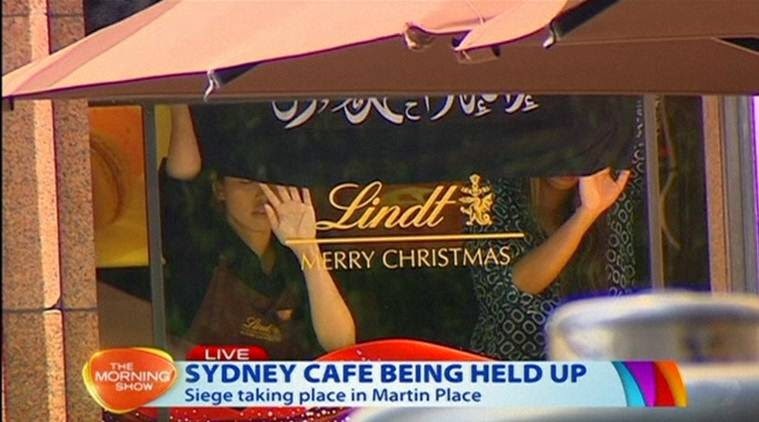 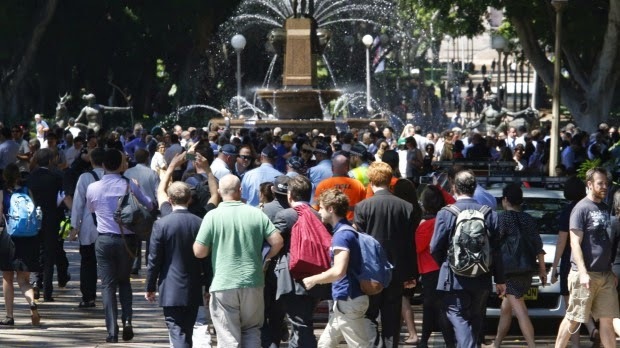 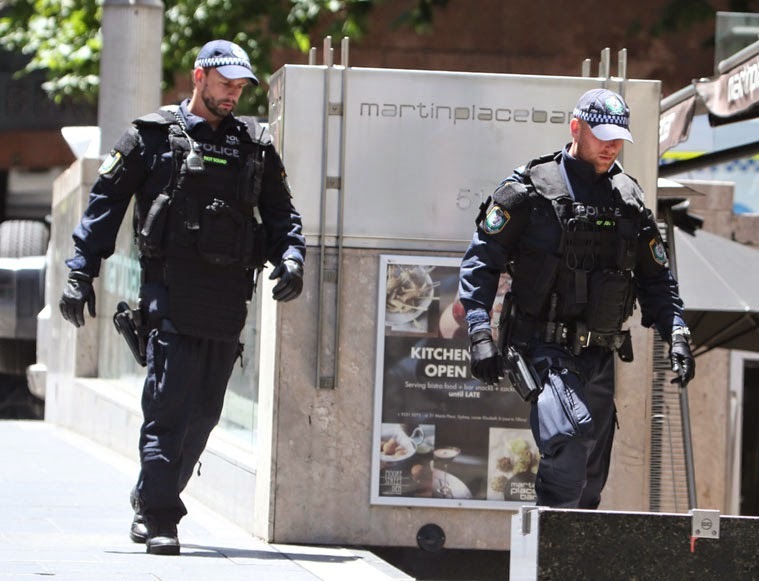 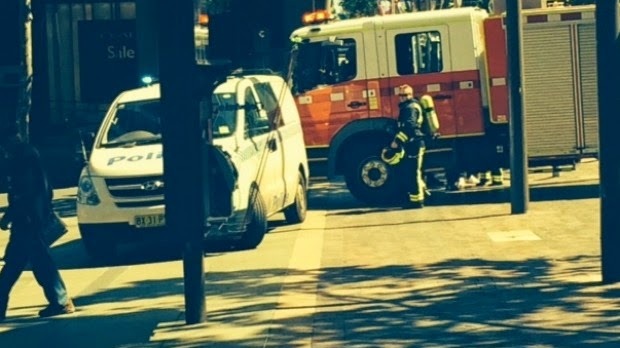 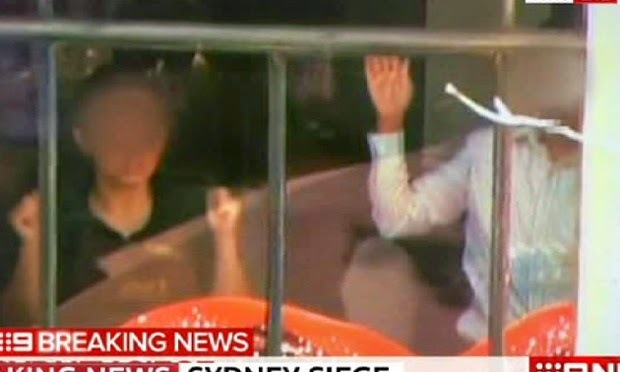 THE ISIS TERRORISTS TAKEN MORE THAN 50 PEOPLE AS HOSTAGE UNDER GUN POINT IN MARTIN PLACE LIND CHOCOLATE CAFE IN 11 AM IN SYDNEY, AUSTRALIA. 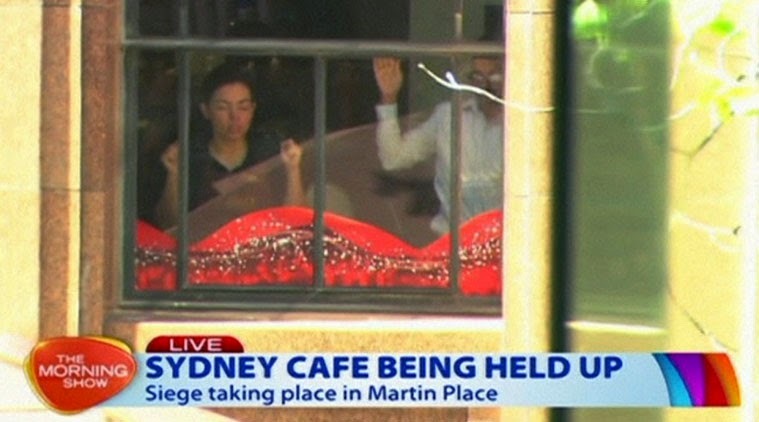 5 HOSTAGES WERE ESCAPED FROM GUNMAN AND SAID THAT THEY WERE BEEN ASKED TO RAISE THE ISLAMIC FLAG IN THE WINDOWS AND THERE WERE MORE PEOPLE WITH GUNS INSIDE THE CAFE. 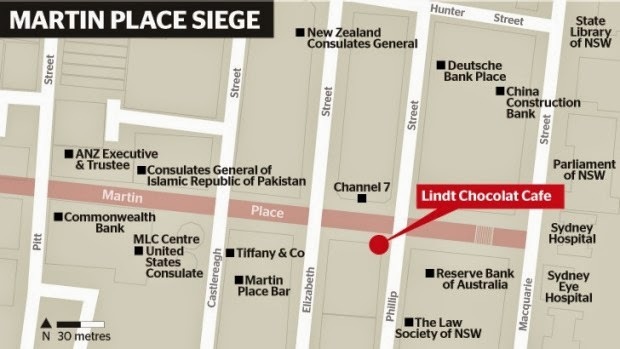 THIS IS THE MAP OF MARTIN PLACE SIEGE WHERE LINDT CHOCOLATE CAFE IS JUST OPPOSITE TO THE CHANNEL 7 STUDIOS. 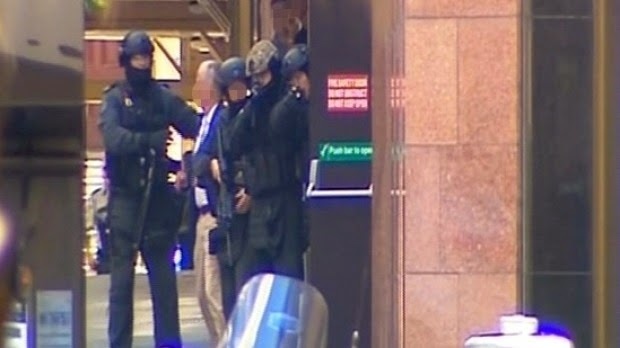 POLICE EVACUATING THE PEOPLE FROM THE MARTIN PLACE AND ALL SHOPS AND BANKS WERE CLOSED NEAR BY THE LINDT CHOCOLATE CAFE. 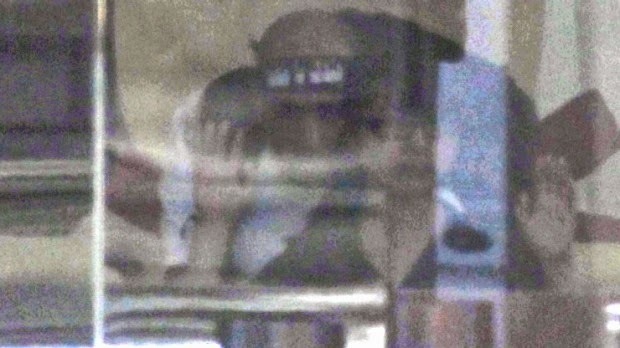 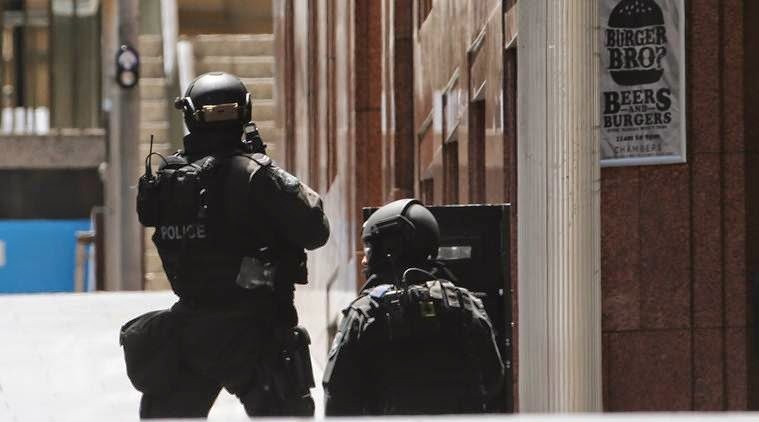 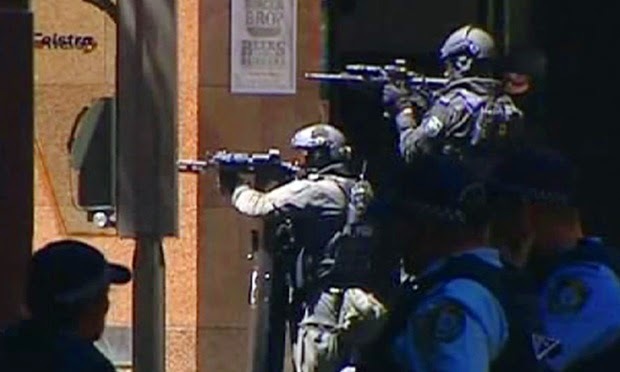 THE CAFE BEEN SURROUNDED BY HEAVILY ARMED NEW SOUTH WALES POLICE TO ENSURE THE SAFETY TO PUBLIC AND TO SAVE ALL THE HOSTAGES WITHOUT ANY INJURY. 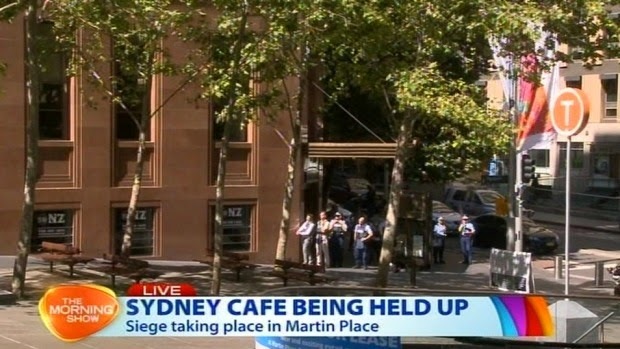 CHANNEL 7 DOING THE LIVE TELECAST OF THE INCIDENT WHICH OFFICE IS OPPOSITE TO THE CAFE. 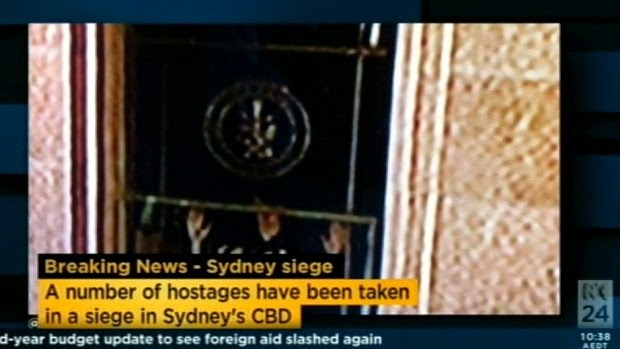 HERE ARE SOME PICTURES THAT THE HOSTAGES WERE ASKED TO RAISE THE ISLAMIC FLAG IN THE WINDOW UNDER GUN POINT. 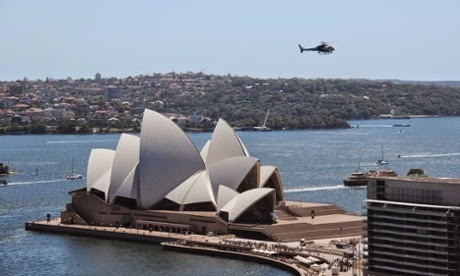 ALL FLOORS OF OPERA HOUSE BUILDING BEEN EVACUATED IN SAFETY CONCERN BY POLICE.